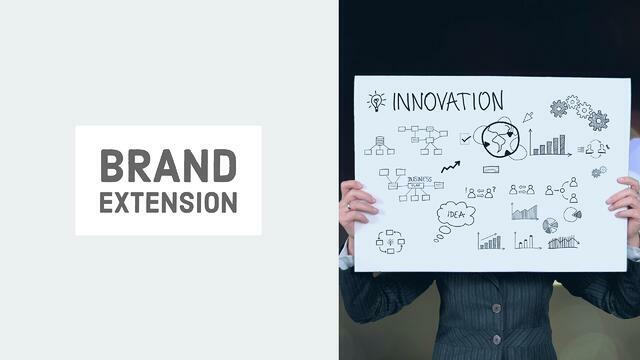 Brand Extension: What Is It, And What Does It Mean For Your Brand? Ever been to Ikea? If so, then you realize how the layout of the store will seem to hold you hostage as you weave from room to room and department to department. Thankfully, there is a full restaurant inside of the massive furniture warehouse to help refuel during the extensive shopping trip. To frequent Ikea shoppers the setup does not seem out of the ordinary. But when you think about it, who came up with the idea to place a restaurant in a furniture store? Well, this is an example of brand extension. Although this concept is not new, it is beginning to expand worldwide in more creative ways. This trend is driven by the ever-evolving preferences of consumers and the turbulent economy resulting in ever-shrinking budgets. Additionally, customers wish to spend their hard-earned money on brands they know and trust resulting in the decline of the name brand and the rise of the private label. Let's explore the worldwide innovations of brand extension. Domino's is extending its brand into the world of holy matrimony by launching a wedding registry. Why give your favorite newlyweds a boring gift card to Target when you can gift pizza? Burt's Bees has extended its brand from natural personal body care products to a new line of plant based protein shakes. Likely to cause a significant impact on cable companies, YouTube has launched in select US cities a TV streaming service. UK's discount grocery store, Aldi, has launched a fashion line! Now, you can purchase your groceries and clothing in one location on a budget. The Netherlands, Foodora, a food delivery service, created its own brand of beer. This addition showcases how brands can extend by means of providing complementary products and services. Another method of brand extension is providing a one-stop shop environment. For example, Jumbo, a Netherlands based supermarket, has started offering on-site smartphone repair services. As urban living becomes more stressful, brands are extending in ways to provide convenience to consumers. In China, select 7-Eleven stores have provided laundry service machines inside of the convenience store. Cathay Pacific (flag carrier of Hong Kong) created the world's first specialty brewed bottled beer to be enjoyed at 35,000 ft. Furthermore, its healthy snack subscription service now provides vending machines that sell healthy food. Are you a business that provides a product or service? If so and you're interested in extending your brand, then take the following points into consideration. Is there a complementary service or product you could provide to your clients? If you can't provide the service directly, is there another brand or company who shares your same core values with whom you could partner? Understand your business strengths and access the needs of your customers in order to extend your brand. Proving to your customers that you are providing new services for their benefit will not only increase brand loyalty, but will also make a positive impact on your long-term sales. Source: Mintel, "Extend My Brand"
Get the latest Fragrance Trend Report: the 2017 Spring and Summer edition.